Our Vintage PhotoBooth may look like an antique, but it is actually a state-of-the-art digital system. 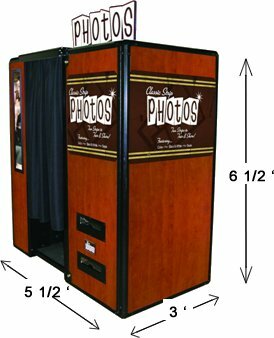 It is manufactured by a reputable Photo Booth company and not in our backyard. We keep the software up to date and use only the best printers and paper inside it. Dye-Sub printers print doubles of each photostrip within seconds and the photos will last forever. The photos hanging on our fridge from when we purchased the booth still look brand new! Fast printers also mean that more people will use the booth during your event than ever before. Our attendant will be with the booth the entire time making sure everyone gets into the booth- especially busy brides and grooms. We will never leave a party without making sure the guests of honor have gotten in the PhotoBooth! The easy to use interface in the booth walks you through your photo session and lets you pick from color, black & white, and sepia each time. 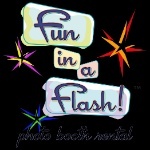 If you have any questions please contact us or read through our entire PhotoBooth Section and read our FAQ page.